Hey friends,?I just celebrated Raksha Bandhan with my brothers and now two more exciting festivals are coming within 15 days. The spirit with which these festivals are being celebrated in India is just mesmerising. On 25 of this month, we have Janmashtami which is being celebrated as the day when lord Krishna was born. Krishna is believed to be the 8th incarnation of Hindu god Vishnu who descended on the earth to give a very important lesson for the betterment of mankind. Just ten days after this, on 5th September we will be celebrating Ganesh Chaturthi by welcoming Hindu god Ganesha in our house. Coincidently, this year Ganesh Chaturthi is on the same day when teacher’s day is celebrated. What a beautiful clash. So this blog is dedicated to new festive delights. One of the things that excites me so much about these festivals is food. 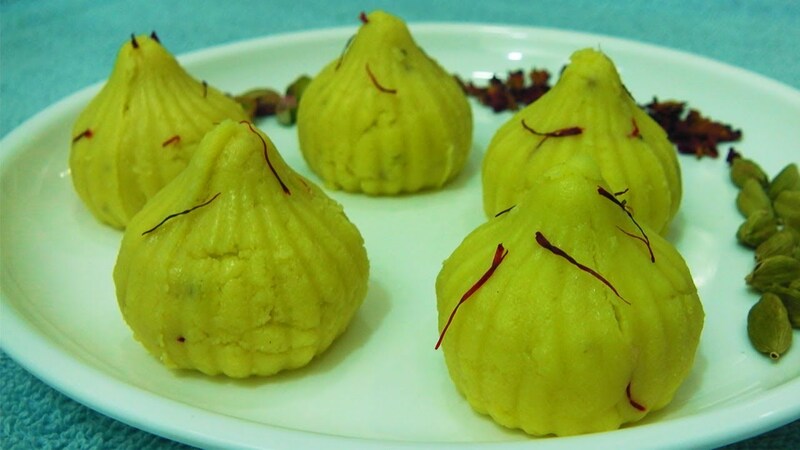 Especially the “modak“ prepared during Ganesh Chaturthi. 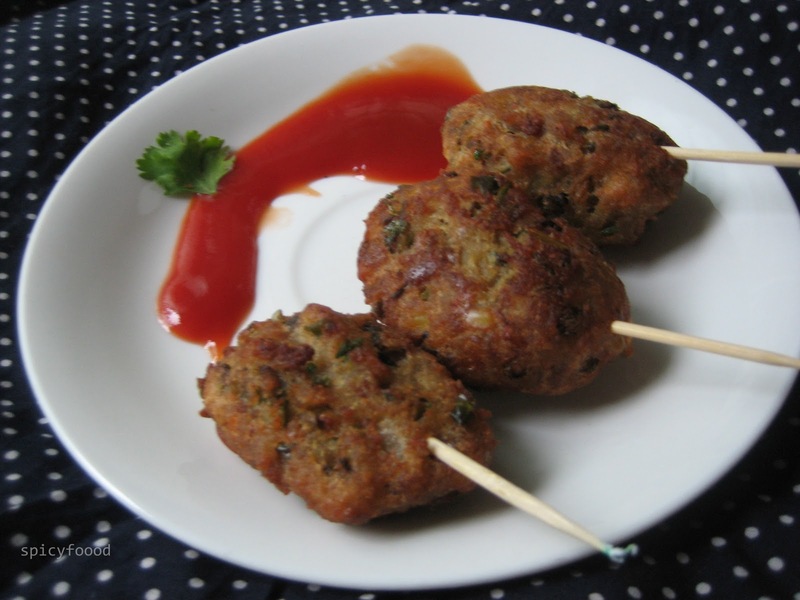 We all have heard about aloo chat which is made by potato patty as the main ingredient. we have also heard about bread rolls which are again made by stuffing potatoes mostly. Giving a healthy twist to these dishes potato is now being replaced by spinach and mung lentils. So here goes the recipe. In a bowl add gram flour(besan), baking soda, salt as per taste and then slowly add water to make a thin semi-liquid batter. Blanch spinach leaves in cold water. This will maintain the crunch of leaves for a long time. Now cut the stock and dip the spinach leaf in the batter and deep fry them till they get light brown and swelled up. 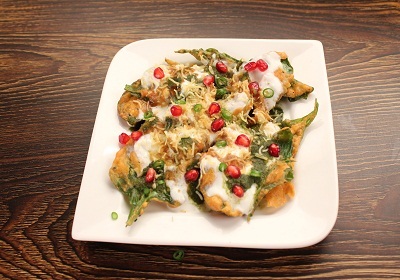 Serve the leaves on a plate and then make a layer of curd, sev?, onion, tamarind paste, chilli paste, chat masala, salt and at last, some pomegranate seeds. In a bowl add mung lentils, pomegranate seeds, onion, one teaspoon chat masala, salt as per taste and chillies. Cut edges of the bread and then wet it with a little water using your palm. Squeeze extra amount of ?water out of it and then add filling in the middle. Roll the bread like covering a baby in a blanket. Make an oval shape of the bread. Now cover the roll with dry semolina. Semolina acts as a binding agent over here. We generally give a coat of egg or dry bread crumb ?but I used semolina as it gives extra crisp texture to our rolls. Also, it’s vegetarian. At last deep fry the rolls at a moderately high flame. You can serve the rolls along with some mint chutney or CHING’S Schezwan Chutney. I hope you liked these recipes. Do try these at home and enjoy it with your friends.